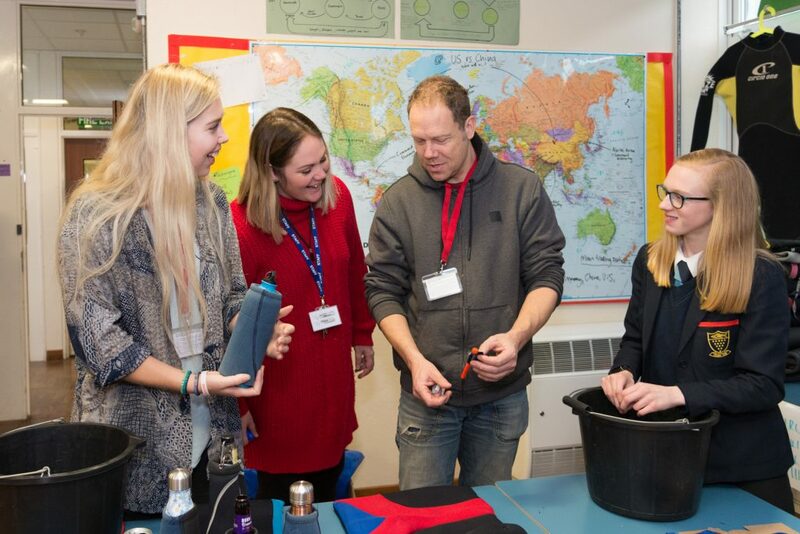 Enterprising Newquay Tretherras students have come up with an innovative idea to repurpose pre-loved wetsuits. 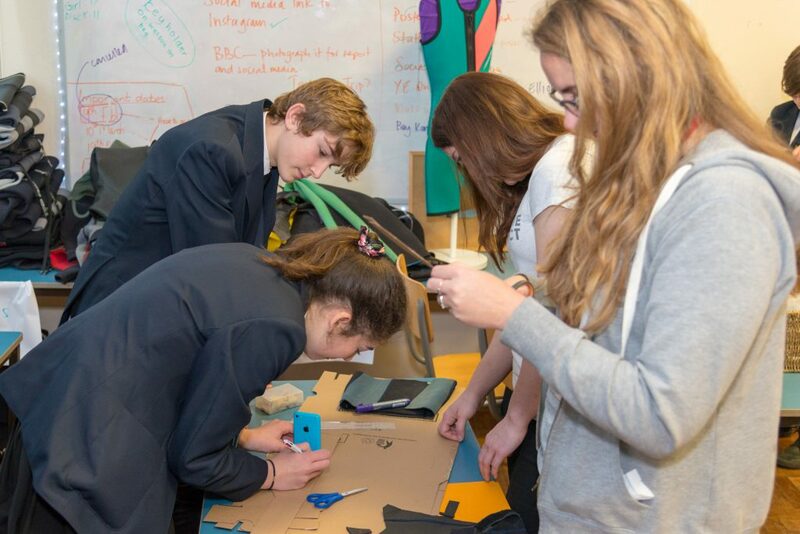 As part of the Young Enterprise competition, the Year 9 students have been working on turning discarded wetsuits into book bags for primary school children. So far the group of 9 students have collected donated wetsuits from the public and local businesses and have been busy cutting and sewing the materials to make book bags, bottle cozies and cup holders as well and developing innovative new products. Newquay Tretherras teacher of Business Studies, Mrs Hayley Bissenden explained the project, ‘The initial idea was to use the neoprene to make beach jewellery, but it quickly progressed to making book bags as the students realised a great enterprise opportunity to create a purposeful product with zero waste’. The project took off and gained local support with donations from the public and local organisations, The Wave Project and the charity Beach Guardians. The Cornwall based charity Beach Guardians, who regularly organise community beach cleans and conduct educational workshops with schools and other groups, have been offering help too by donating discarded wetsuits found on Cornish beaches. 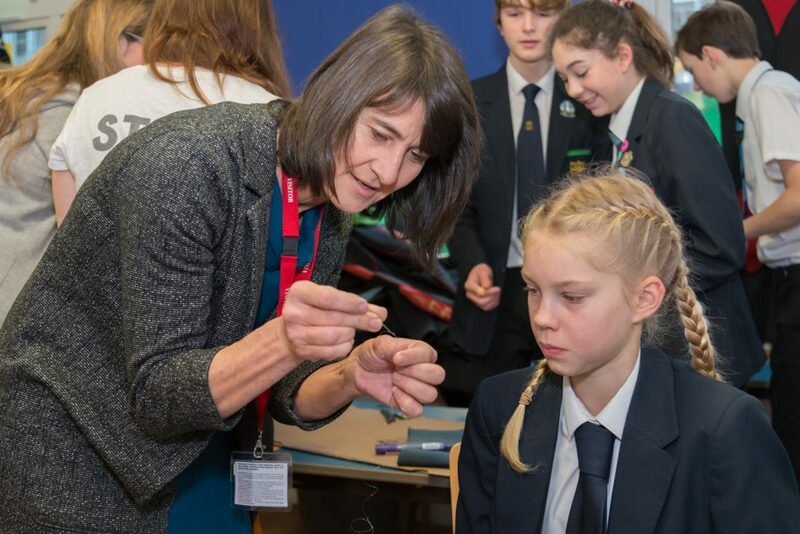 Emily Stevenson from Beach Guardians explained, ‘The Newquay Tretherras group are a complete role model to younger generations, showing them what they can do lead the way for sustainability and caring about their environment’. 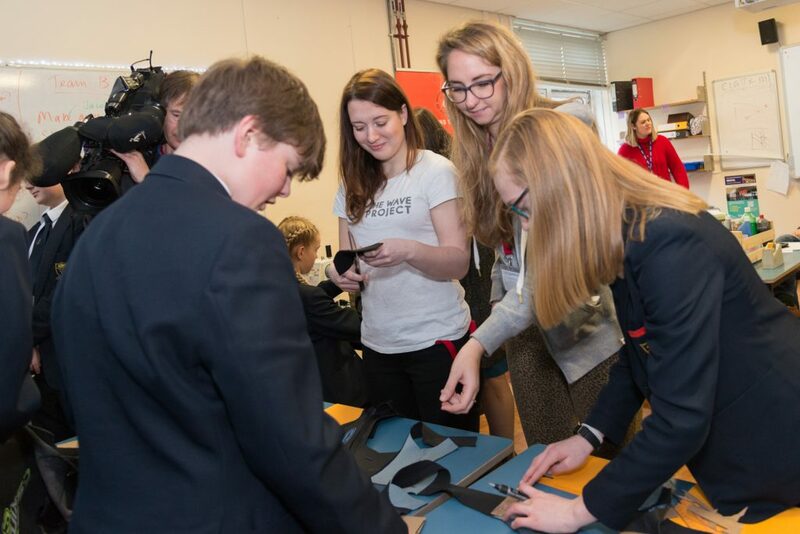 The Young Enterprise team have been busy raising awareness of their project, needing further support from the community with more donations of wetsuits and manufacturing skills. Mrs Hayley Bissenden added, ‘The group have had fantastic support so far from the Newquay community. 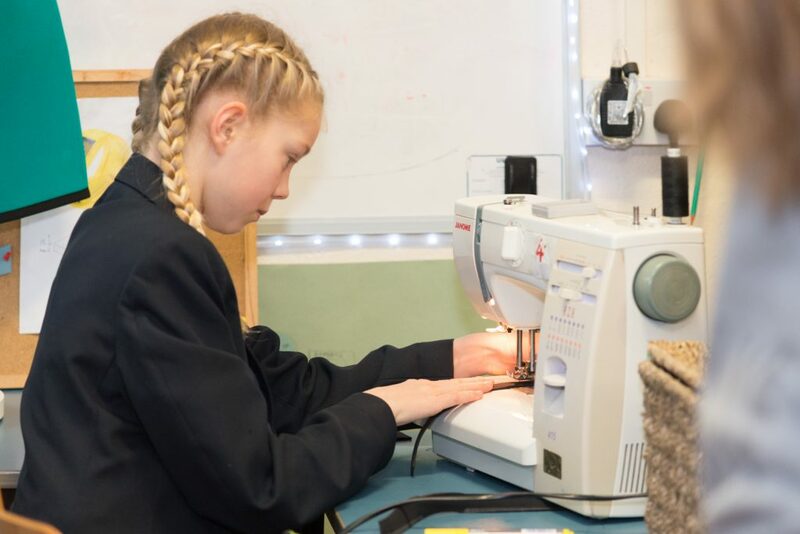 We have been leant an industrial sewing machine from Celtic Sheepskin but if anyone is about to help stitch or sew then we would love to hear from you’. The students are now busy creating their product which will go on sale end the end of January 2019 via their website and social media. The group are also planning primary school visits to help promote the product and the ease of sustainability. Anyone interested in supporting the project, donating wetsuits and providing experience with neoprene manufacturing are welcome to contact the school. You can find out more about the project and what the students are up too by liking and following their Facebook page Seal Book Bags.